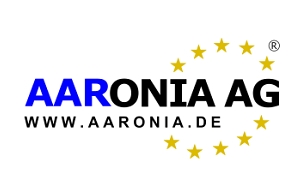 Aaronia AG is a manufacturing company based in Strickscheid, Germany that develop, trade and sell measuring and shielding equipment for RF and High frequency applications. Aaronia was founded in 2003 by Thorsten Chmielus and mainly produces Spectrum Analyzers which base on a patented spectrum analyzer process. In 2004 Aaronia shipped its first spectrum analyzer. In 2008 they announced the latest generation of the SPECTRAN Spectrum Analyzer, the V4 series, the first RF analyzer which reaches a world record analyzer-sensitivity of -170dBm DANL.